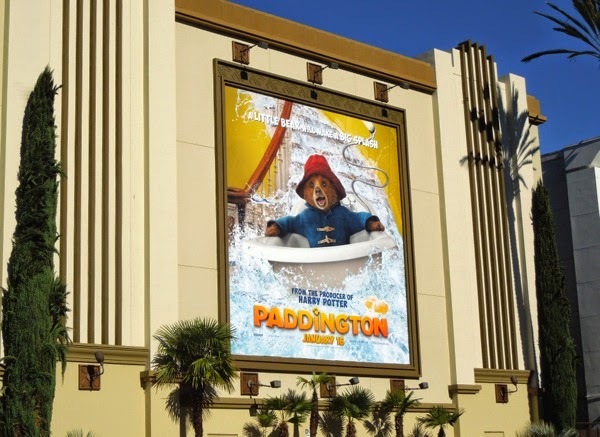 Paddington Bear may be making a big splash on the big screen here in the U.S. this holiday weekend, but the marmalade-loving bear from Peru already conquered the British box office when it opened across the Atlantic last November. 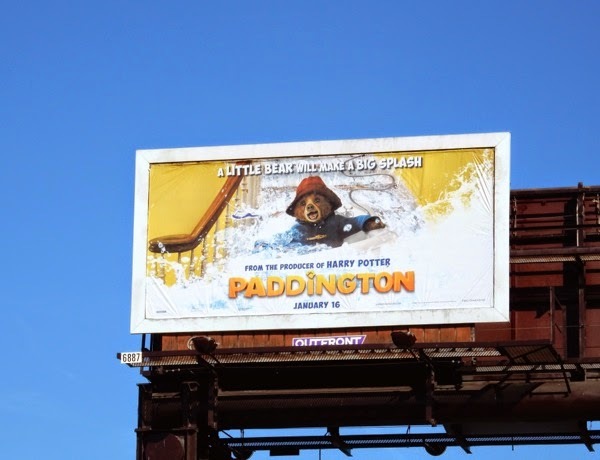 Based on the children's character created by Michael Bond and illustrated by Peggy Fortnum, this anthropomorphised bear with his old hat, battered suitcase and duffel coat is a literary classic making his jump from storybooks and animated series to his very own live-action motion picture, thanks to the wonders of modern computer-generated special effects. In this new retelling, the Peruvian bear (voiced by Ben Whishaw) journeys to Paddington Station in London and meets the Brown family who give him a place to stay, but not before Nicole Kidman's sadistic museum taxidermist learns of this special bear and wants to capture and have him stuffed. 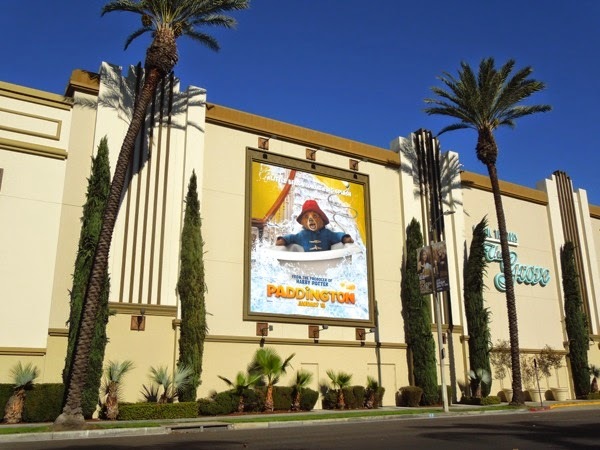 A duo of portrait billboards for the accident prone Paddington were snapped along 3rd Street on the side of The Grove shopping centre on December 23, 2014, whilst the smaller ad was spotted along Highland Avenue on January 4, 2015. 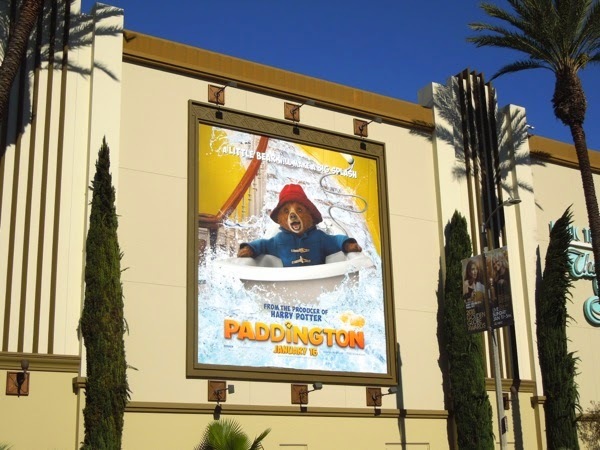 Here's hoping Paddington survives his first big screen outing, after all he is a national treasure back in the U.K.